Why does this paint color look so different than I expected? Rule of thumb: Never select color solely based on someone else’s room or while standing in a paint store! Have you ever been into someone’s home and fallen in love with a particular wall color they had? You loved it so much that you just had to paint your living room the same color. But disappointment came when the color looked quite different in your house than in your friend’s house. 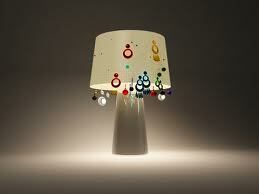 The reason for this is the way in which light directly impacts how color appears. Therefore, you should never select paint color based on how it looks in someone else’s house. When selecting paint color, you really need to see the color in the room that you are painting in order to accurately see how the color will look in the space. It’s hard to select a color based upon how it looks in someone else’s home or standing in a paint store. Artificial light, natural light, and the time of day play a huge roll in how paint will appear on a wall. Therefore, I always recommend placing color swatches in different areas of the specific room and taking a look at the color in artificial and natural light throughout the day. (I always order my customers several 6″x9″ (minimal) swatches rather than using the tiny swatches at the paint store). It’s the only way to truly see the potential of a particular color in your room. https://redefineddesigns.com/wp-content/uploads/2012/10/lamp.jpg 194 259 Jenna https://redefineddesigns.com/wp-content/uploads/2019/03/Redefined-Designs-logo-revised2017-RGB-small-for-w_e68147bef04a4c12bb7de8e8de138a0e.jpg Jenna2012-10-24 07:19:402012-10-24 07:19:40Why does this paint color look so different than I expected? 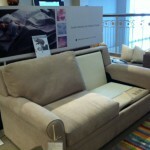 The best sleeper sofa (in my opinion!) 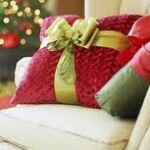 Fun and easy holiday decorating ideas for under a few bucks!